According to Aubrey H. Fine, Ed.D., pet lover, pet therapy specialist, psychologist and author, taking time to consider a number of factors about your family and your expectations before you go out to look for a pet will result in greater satisfaction and fewer relinquished or abandoned animals. Companion animals are not things; they are living beings and we owe it to them and to ourselves to give our choice of companion serious consideration. Is your family active with a love of the outdoors? Photo © Dollar Photo Club. When we are deciding upon the best puppy for our family, we need to think of our own personal lifestyle (e.g., family makeup, living arrangements, yard space, and specific expectations of a companion animal). Matching this information to specific factors about the animal (such as the breed and the gender of the puppy) will help create an ideal fit. Benjamin and Lynette Hart in The Perfect Puppy (1998) discuss the differences between male and female dogs and break down the overt temperament styles of various purebred dogs into thirteen key characteristics. Dr. Fine breaks these down into a chart in his book, Our Faithful Companions (2014). However, often there is as much variation within a breed as there is between breeds. That’s why we also need to select a potential pet based on the individual animal and his temperament. Or would a small lap dog that is content with a few minutes of play in the back yard fit your lifestyle better? Bigstock photo. • What do we like to do when we come home? If we adopt an active dog that requires a lot of walking and stimulation, yet we are not active ourselves, we’ll eventually feel guilty that we’re unable to meet the dog’s physical and mental needs. Bringing an animal into our family requires a real commitment not only to the dog but to ourselves as well. • If we travel a lot, is it fair to have a companion animal, especially one that will often be left at home? • Do we like to be outside? Do we want a dog to accompany us while hunting, hiking, swimming, etc. Do we want to participate in dog sports or competitions? • Does anyone have allergies or physical needs that must be considered when selecting a pet? • Do we prefer an independent, slightly aloof dog or one that will smother us with sloppy kisses? • Will our yard and home facilitate the activity level and size of dog we are considering? • Do we prefer a quiet lap dog that will sit by our side and be content with a low level of activity? • How much time do we really have to devote to our new companion? Do we have time to properly interact with our new companion and provide him exercise, grooming, training, play, etc.? • Can we afford the expense of keeping a pet over his or her lifetime: food, veterinary care, training, boarding? • Finally, we need to think about what might change in our life. Is our job secure? Can we stay where we are living? What changes might there be in the future? If you have children, how old are they and how long before they will leave home? If you choose a puppy, who will train it? Will you have sufficient time to devote to a puppy? Be open-minded and consider many species of dogs before making a selection. Consider the interaction time you will have with your dog. Too often we think only about getting a puppy. Unfortunately, that period lasts for about six months. 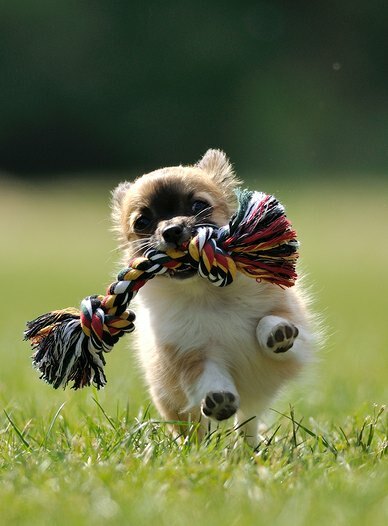 The small, cute puppy will grow up and become a mature dog. That cute puppy (or any species in its youth) will take more concentrated time and energy for training and discipline, and while puppies are fun, you need to consider that he will be an adult dog for a much longer period of time. If the puppy is left in a crate or a gated area all day, proper training and behavioral growth can and will most likely be delayed. An older dog comes with many benefits. What we see is often what we get. Older dogs often tend to not have the chewing issues or the problems that very young puppies pose. Sometimes older dogs or cats are great additions. They require less time and can be less active. Older pets spend much longer in shelters waiting for a new home. Yet many are loving pets that would be great companions. Choose carefully. 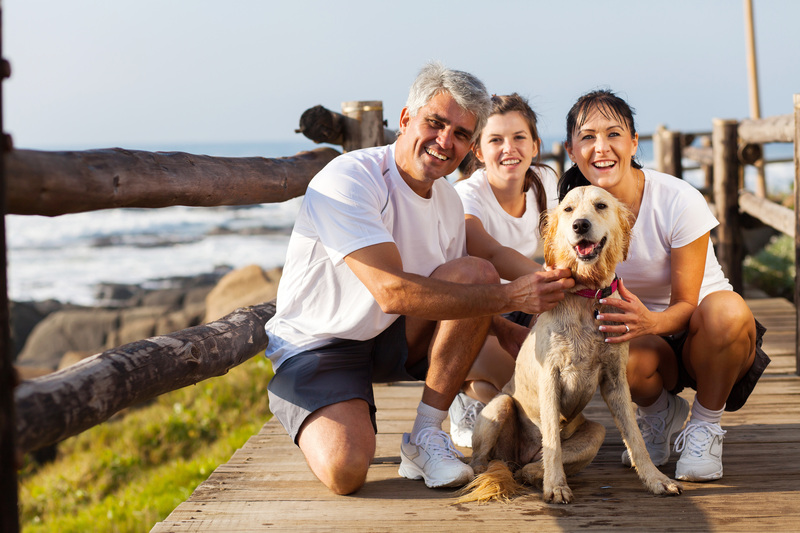 Your dog will be a member of your family for more than a decade. Photo © Dollar Photo Club. If we have families, we need to consider the children’s ages and involvement. For example, right now we may have young children who might be home all the time. In the future, though, that may (and likely will) change. As they get older, they may become more involved in extracurricular activities like sports teams or gymnastics. How much will this alter our commitment to our pet? How much time will the family be out of the home, and how long will the pet be left alone? 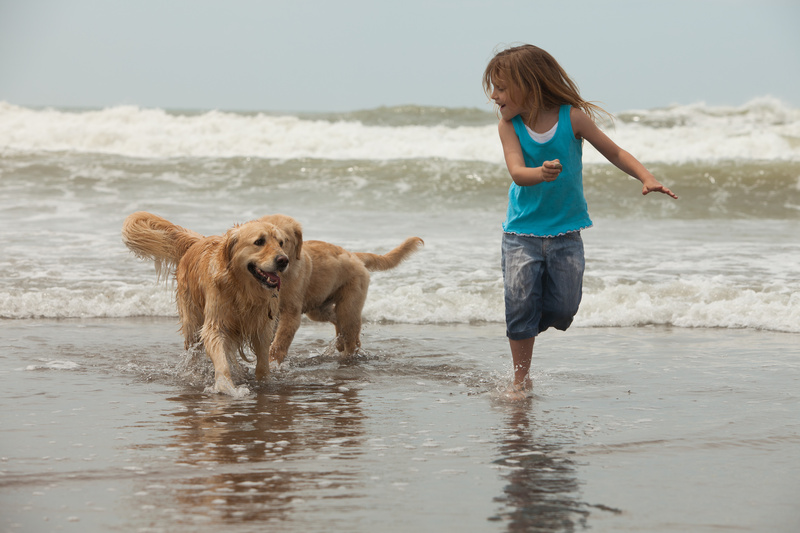 This entry was posted in FAMILY DOGS and tagged children and dogs, choosing a dog, choosing a dog for a child, choosing a family dog, choosing a pet, choosing a puppy, considerations when selecting a family pet, criteria for choosing a pet dog, dogs and families. Bookmark the permalink.